Did you ever wonder what it would be like to beat a world record? We had the chance to interview world record holder Caleb McEvoy about his experience. He officially holds the world record for solving the most Rubik’s cubes while riding a unicycle. It might surprise you to learn that Caleb was only 15 years old when he conquered this record. Caleb’s process is a perfect example of how aligning your talents with activities you enjoy, combined with gaining knowledge and practice can lead to mastery. 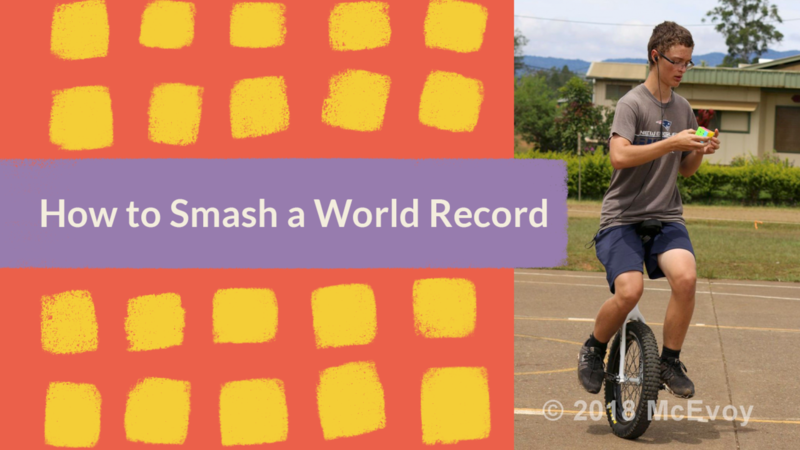 His official entry in the Guinness World Records reads: "The most Rubik’s cubes solved on a unicycle is 250, achieved by Caleb McEvoy (America) in Ukarumpa, Papua New Guinea, on 31 March 2018. Caleb spent over 2 hours 35 minutes on his unicycle whilst achieving his record." 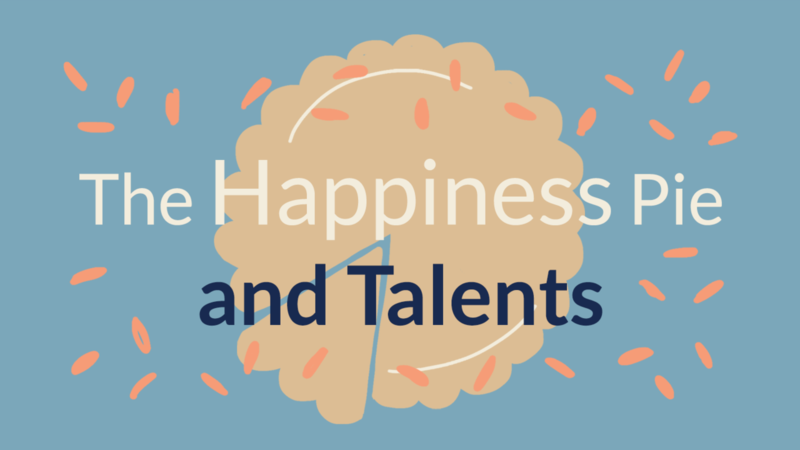 What is the connection between being happy and our talents? Our talents can provide insight to what truly makes us happy. Happiness is one of the central themes of Positive Psychology—a branch of psychology that’s exploded over the last two decades. Until studying Positive Psychology, happiness was a vague concept and had preconceived notions that happy people were the ones who were always smiling and giddy—two traits that would not describe me, for example. 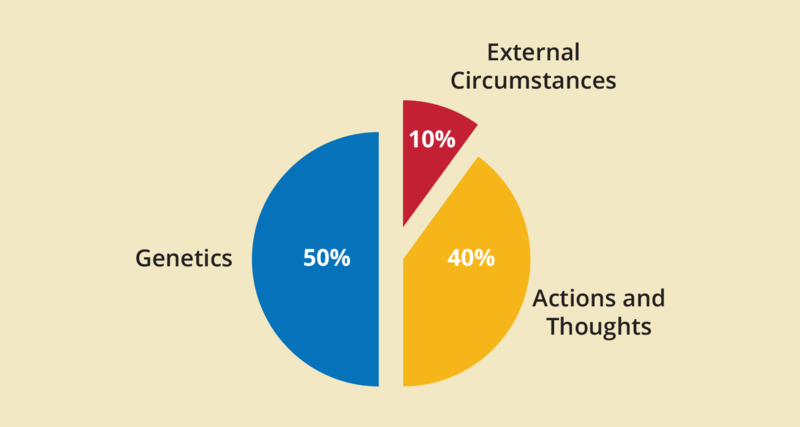 Positive psychology helped expand my understanding of happiness to include other qualities: serenity, sense of fulfillment, and curiosity to name a few. While I couldn’t relate to smiling and giddiness, I could certainly relate to these three. It wasn’t long before I realized how to expand my definition of happiness. 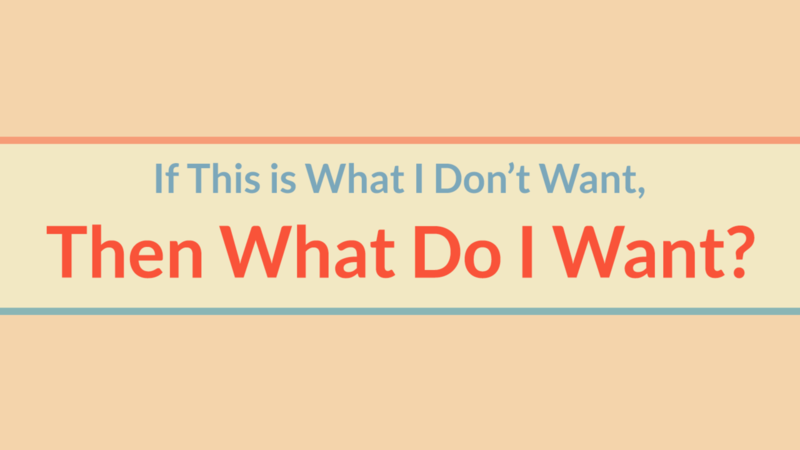 If This is What I Don’t Want, Then What Do I Want?